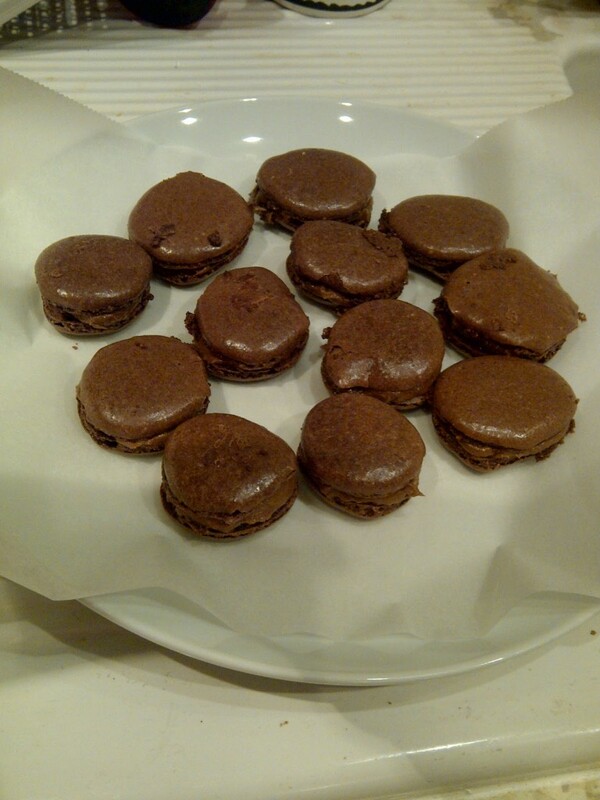 But this time I decided I would just make them properly and see how it went! I found this post on Pinterest from ‘Our Wee Farm’ although the recipe was originally from Bravetarts. Both are worth a read before starting with macarons. 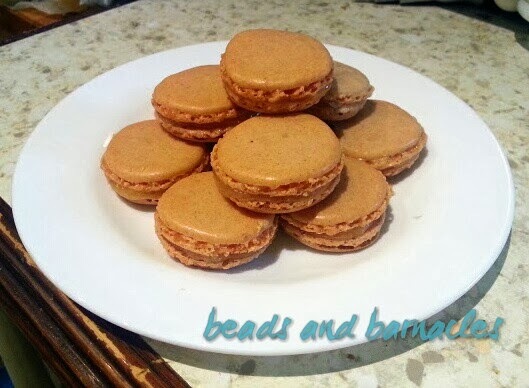 This time I decided to make some apple filed macaroons (mainly because I had a significant amount of apple filling around) although I do have lots of other flavours that I want to make as well. 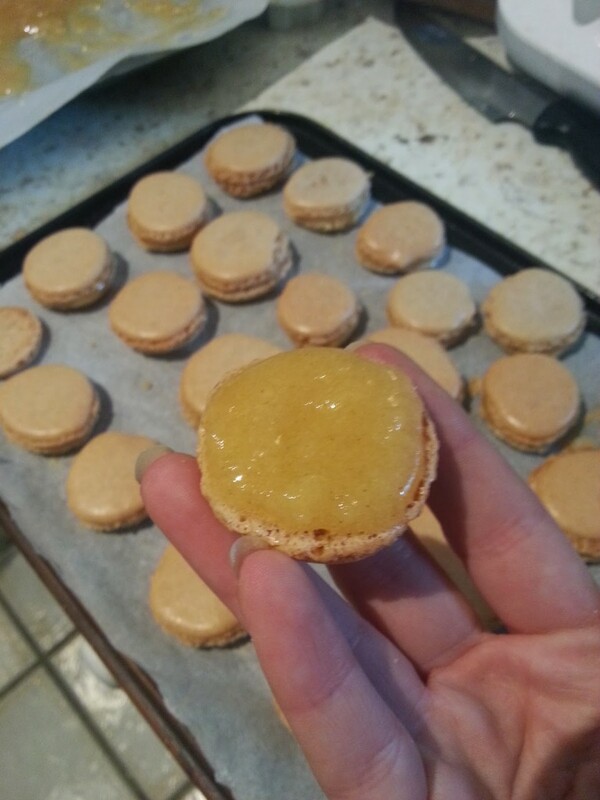 I decided to make the main macaron flavouring as cinnamon since that goes very nicely with apple and it is a dry flavouring so it won’t muck up my ratios at all. 5 ounces egg whites (144g) – for this I actually used a carton of egg white, so much easier! 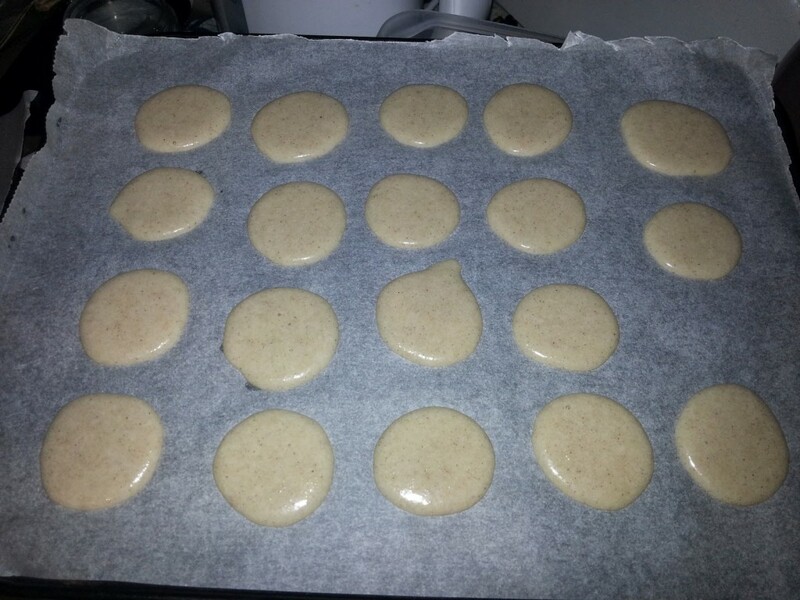 A tray of macarons fresh from the oven. The filling was actually the most difficult part, trying to get it too the right consistency was very annoying, I managed it eventually although it made it quite sugary from all the icing sugar I added. If I do this flavour combination again I might try use a jam or jelly instead. 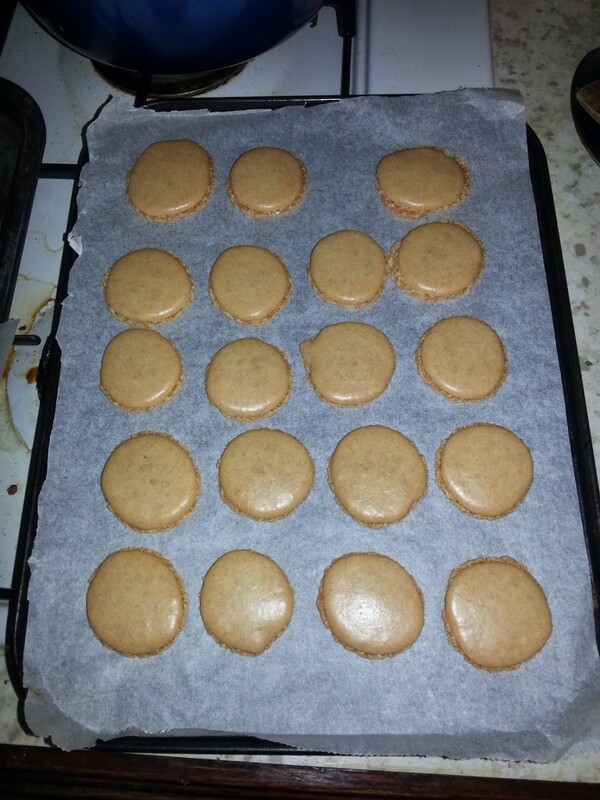 Not bad at all for my first try at macarons from scratch, they certainly don’t look too different to the ones I made from a pack mix! Definitely going to be trying these again with some different flavour combinations.